ELA.W.6.1b: Support claim(s) with clear reasons and relevant evidence, using credible sources and demonstrating an understanding of the topic or text. ELA.W.6.1c: Use words, phrases, and clauses to clarify the relationships among claim(s) and reasons. ELA.W.6.2b: Develop the topic with relevant facts, definitions, concrete details, quotations, or other information and examples. ELA.W.6.2a: Introduce a topic; organize ideas, concepts, and information, using strategies such as definition, classification, comparison/contrast, and cause/effect; include formatting (e.g., headings), graphics (e.g., charts, tables), and multimedia when useful to aiding comprehension. ELA.W.6.2d: Use precise language and domain-specific vocabulary to inform about or explain the topic. ELA.W.6.2e: Establish and maintain a formal style. ELA.W.6.3d: Use precise words and phrases, relevant descriptive details, and sensory language to convey experiences and events. ELA.W.6.3e: Provide a conclusion that follows from the narrated experiences or events. ELA.W.6.3b: Use narrative techniques, such as dialogue, pacing, and description, to develop experiences, events, and/or characters. 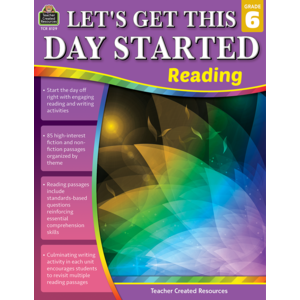 ELA.W.6.3a: Engage and orient the reader by establishing a context and introducing a narrator and/or characters; organize an event sequence that unfolds naturally and logically. ELA.W.6.9a: Apply grade 6 Reading standards to literature (e.g., “Compare and contrast texts in different forms or genres [e.g., stories and poems; historical novels and fantasy stories] in terms of their approaches to similar themes and topics”). ELA.L.6.4d: Verify the preliminary determination of the meaning of a word or phrase (e.g., by checking the inferred meaning in context or in a dictionary). ELA.L.6.4a: Use context (e.g., the overall meaning of a sentence or paragraph; a word's position or function in a sentence) as a clue to the meaning of a word or phrase. ELA.L.6.5a: Interpret figures of speech (e.g., personification) in context.